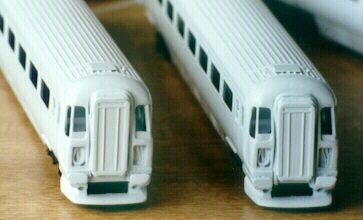 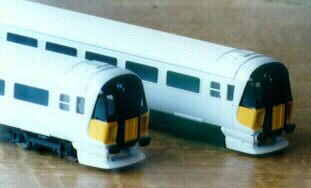 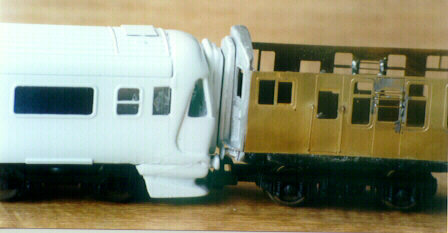 Whitemetal end has had corridor casting added and brass buffers but has not had the lower skirt added. 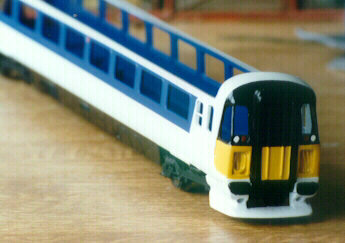 Above - The power coach has had the underframe removed, the sides shaved down, and the brass overlays added. 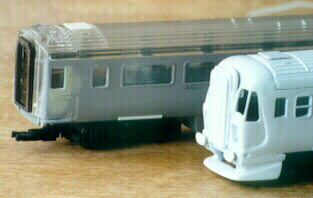 Above - Power car with underframe detail added behind is the wheelchair coach with one of the Toilet windows filled. 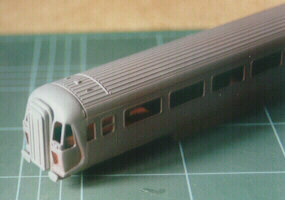 Above - The front skirt needs a fair ammont of metal removed if you want the bogie to swing freely. 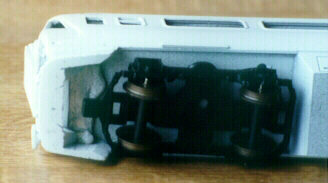 Above - The Lima Sprinter power bogie installed. 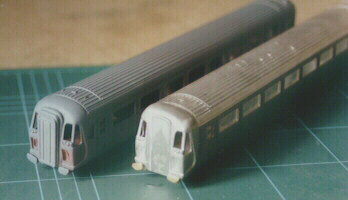 I suspect the Bachman 158 bogies would look better.